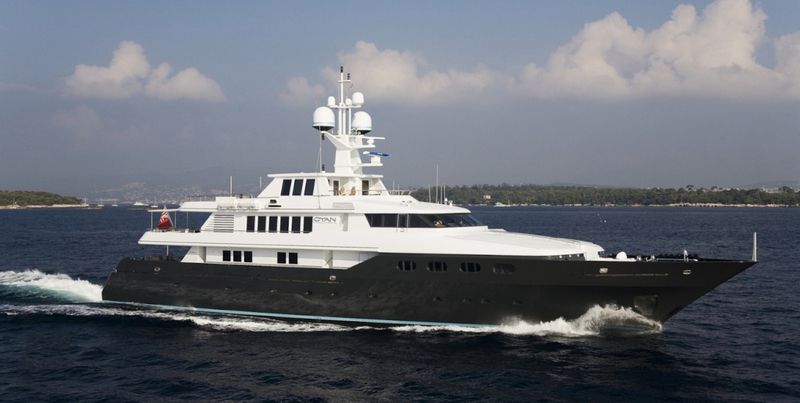 Motor yacht CYAN (ex RENALO) was built in Italy by Codecasa Yachts of Italy in 1997, and her timeless shape and deeply angled bow give her a contemporary look and luxurious functionality. 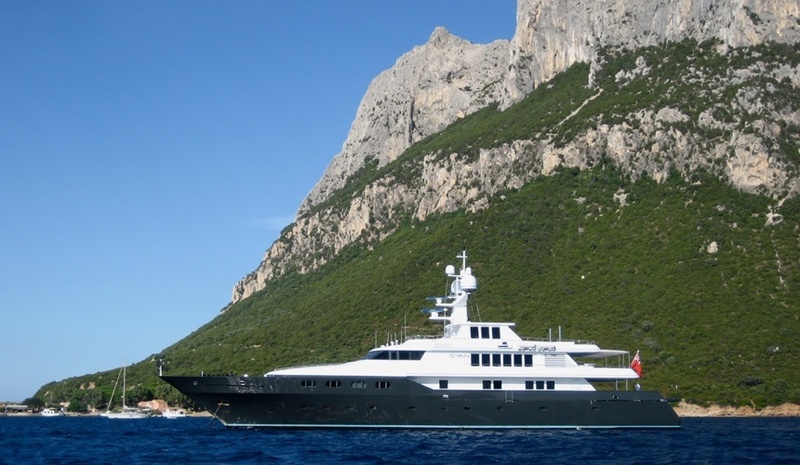 She received a major refit in 2008 and a cosmetic refit in 2016. 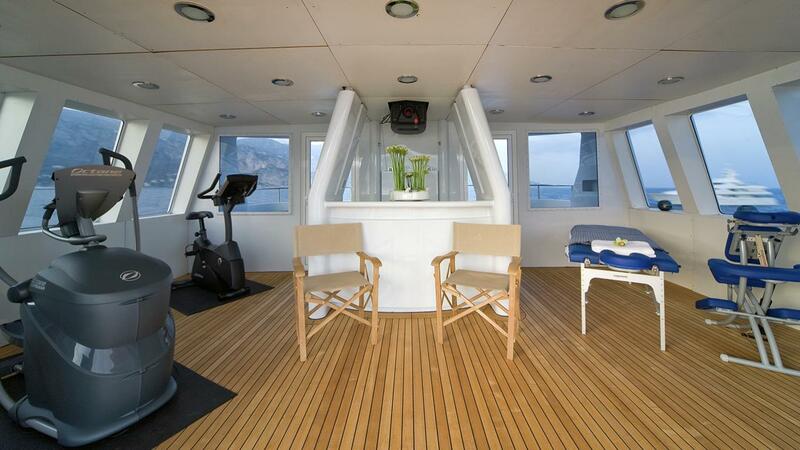 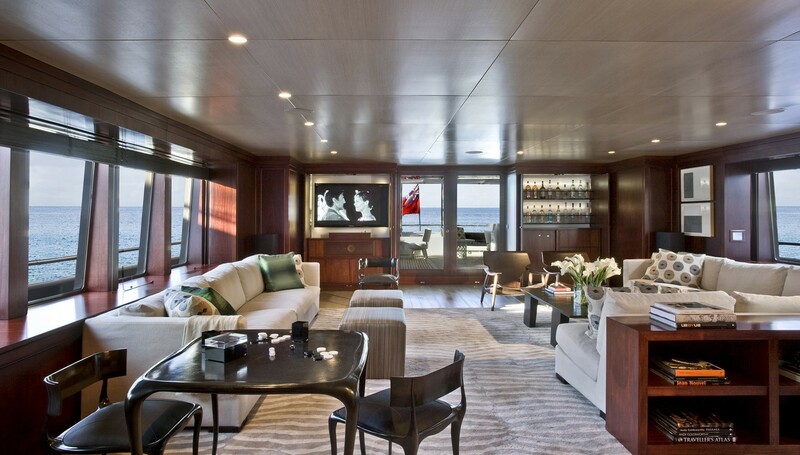 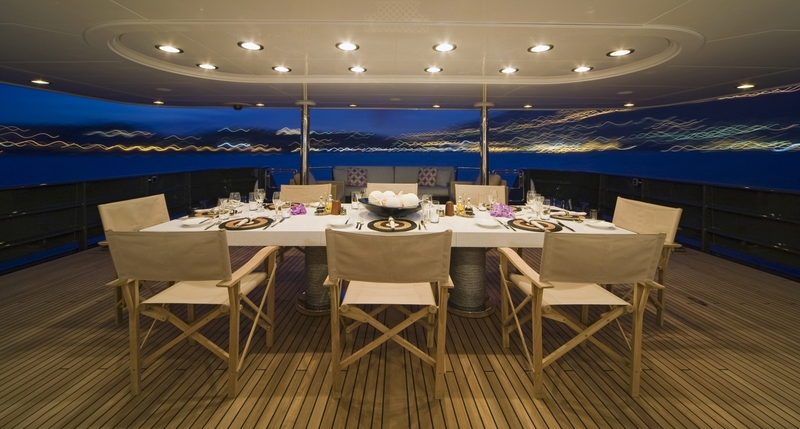 CYAN can accommodate 12 guests across six cabins. 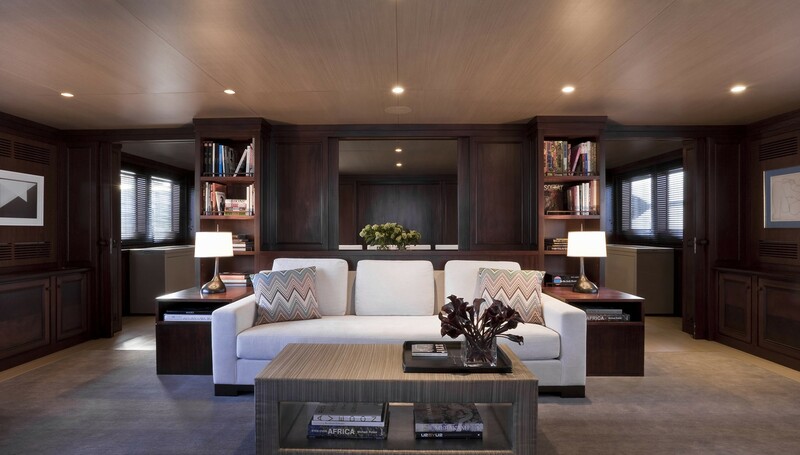 The interior design features great wooden tones with lighter shared of soft fabrics. 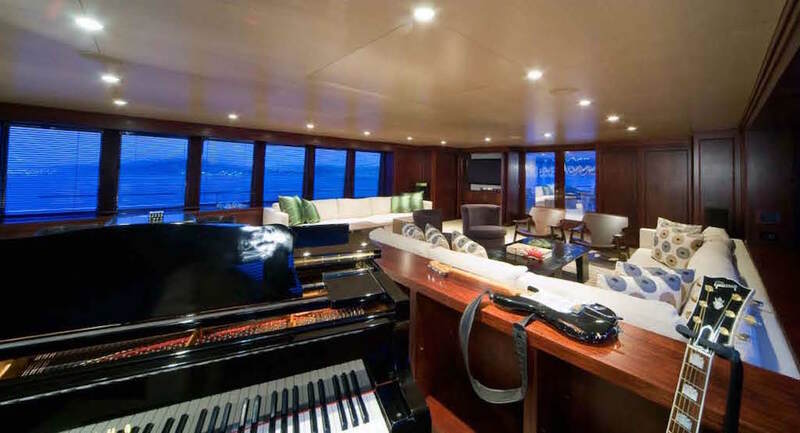 There is a large salon with a lovely dining area, lounge, and piano. 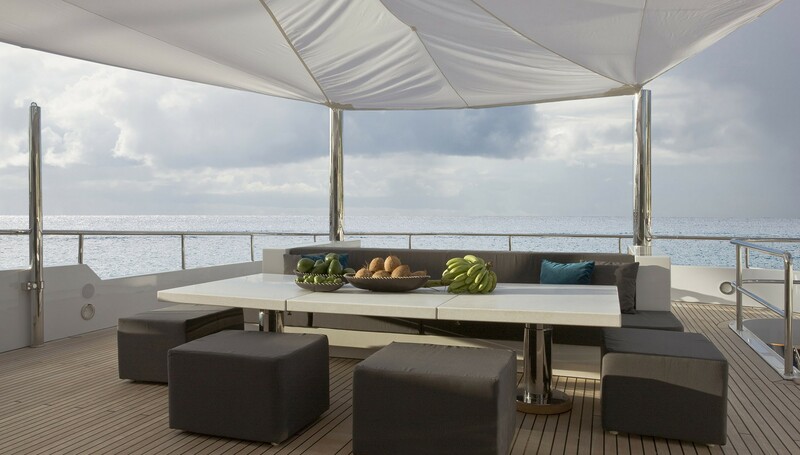 CYAN has expansive outdoor areas, ideal for sunning and entertaining. 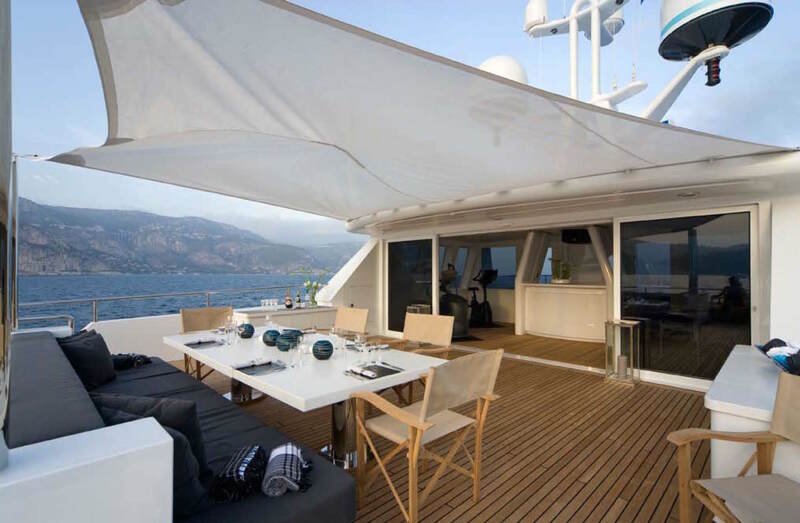 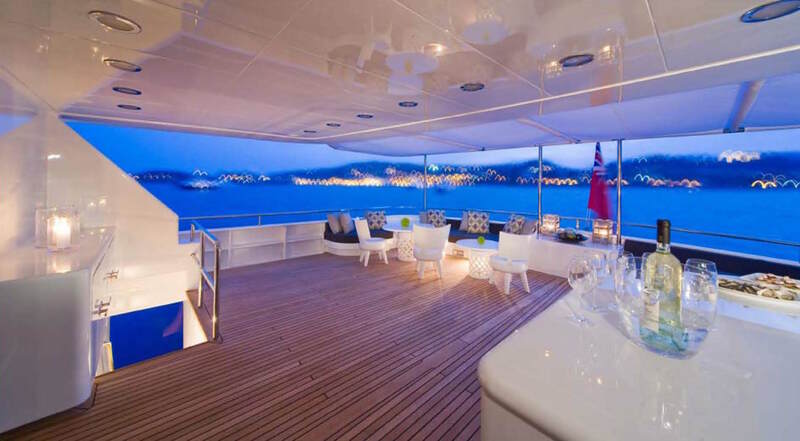 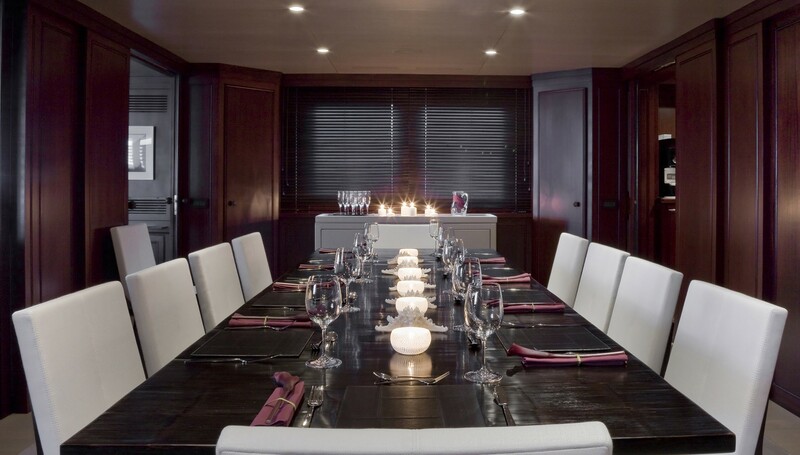 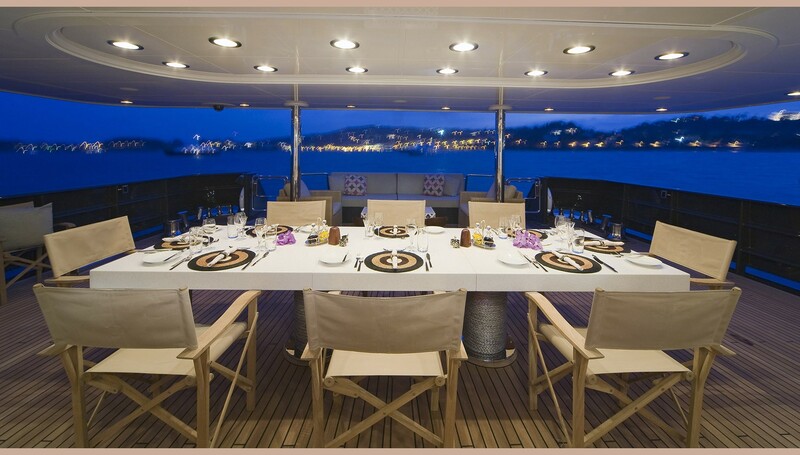 Guests will enjoy the large alfresco dining area located on the main deck aft. 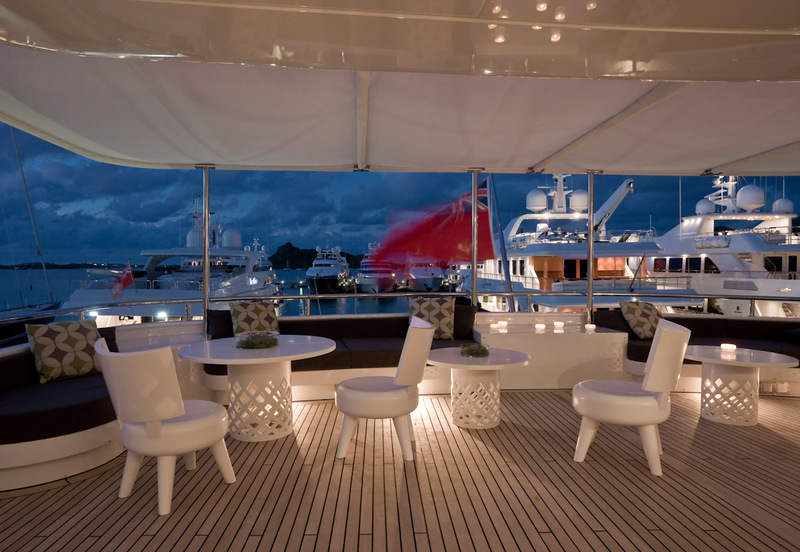 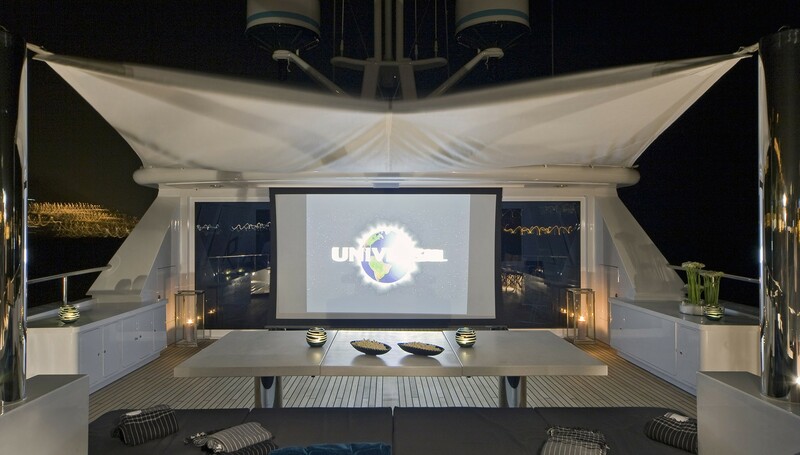 Jacuzzi, sun pads, and outdoor cinema will add to the ultimate yacht charter experience for guests of all ages. 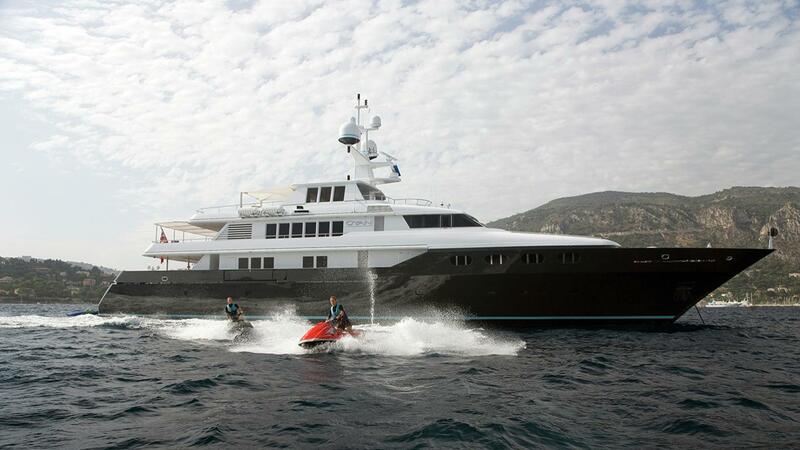 For those who love water sports, there is a selection of water toys, including wave runners, sea bobs, kayaks, fishing and diving gear. 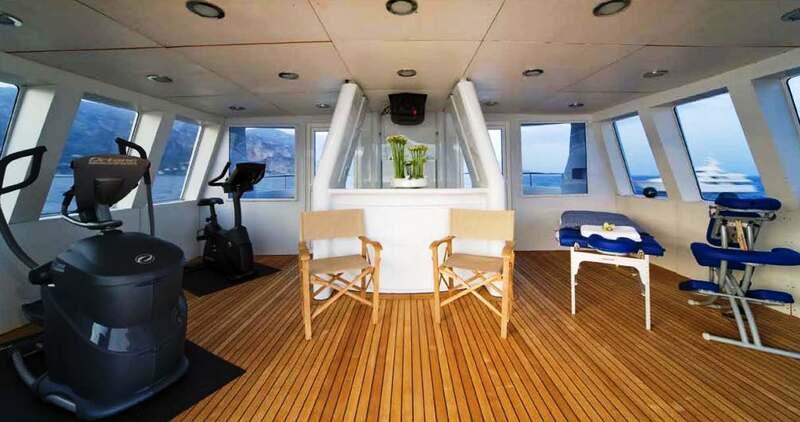 Explore more and enjoy the two tenders available onboard, Novurania 6.5-meter tender and Novurania 4.3-meter tender. 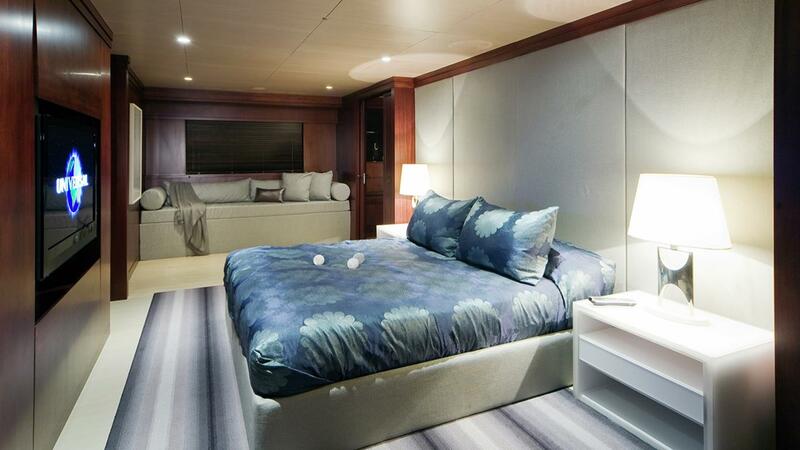 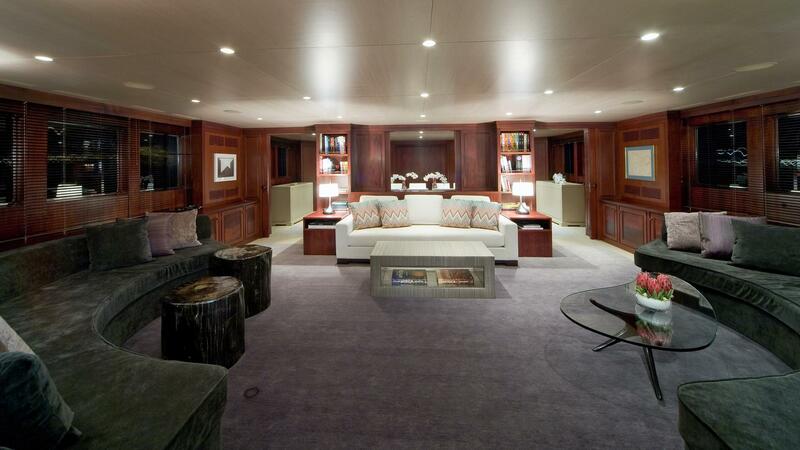 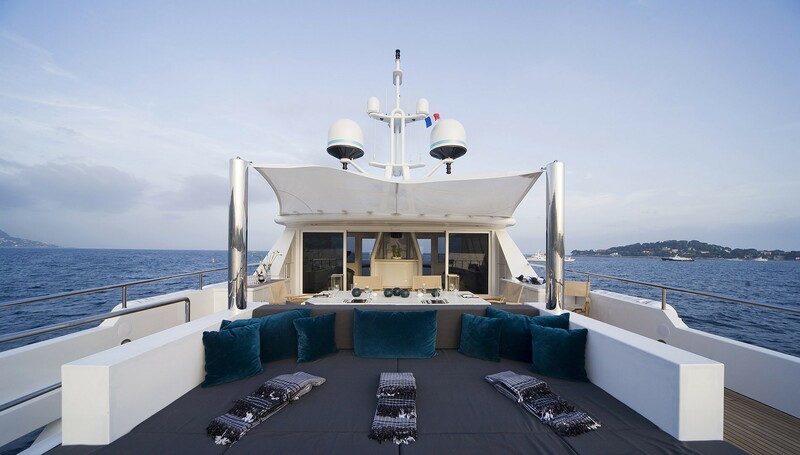 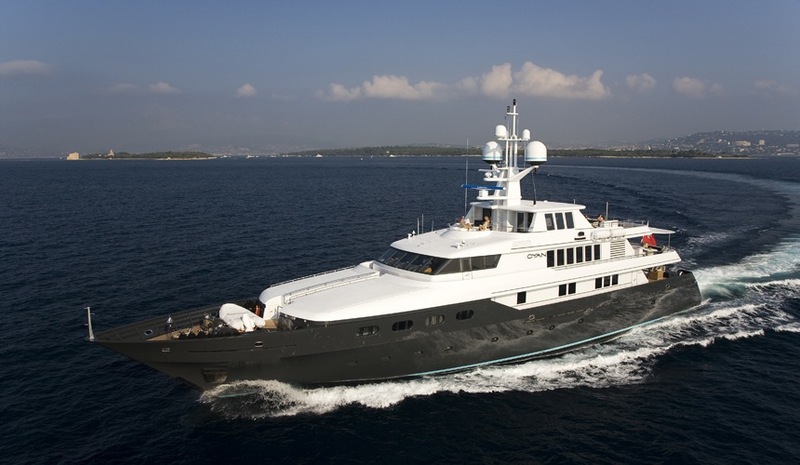 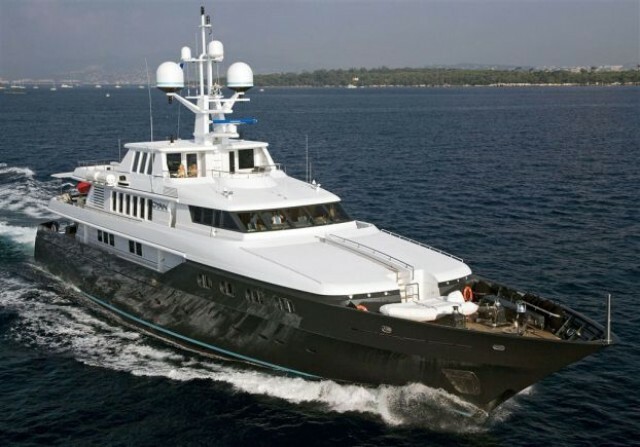 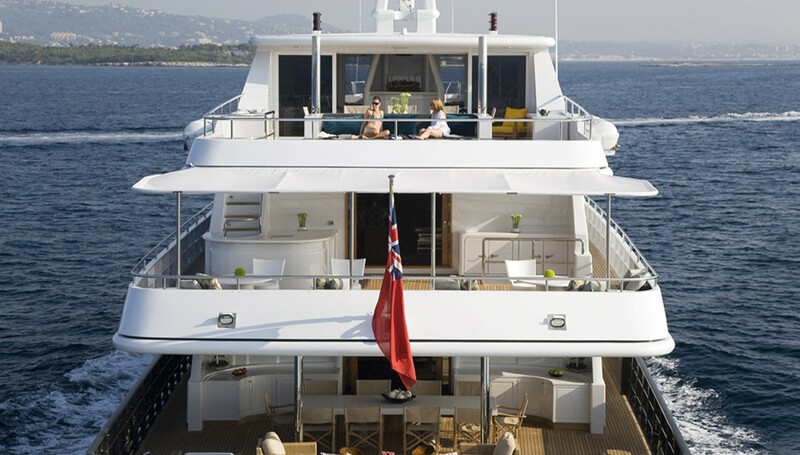 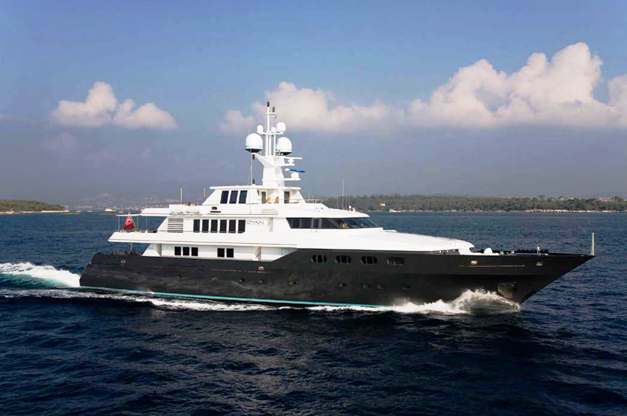 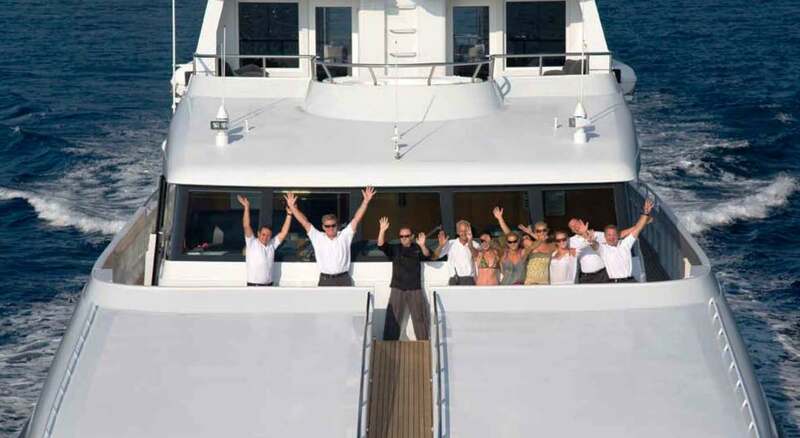 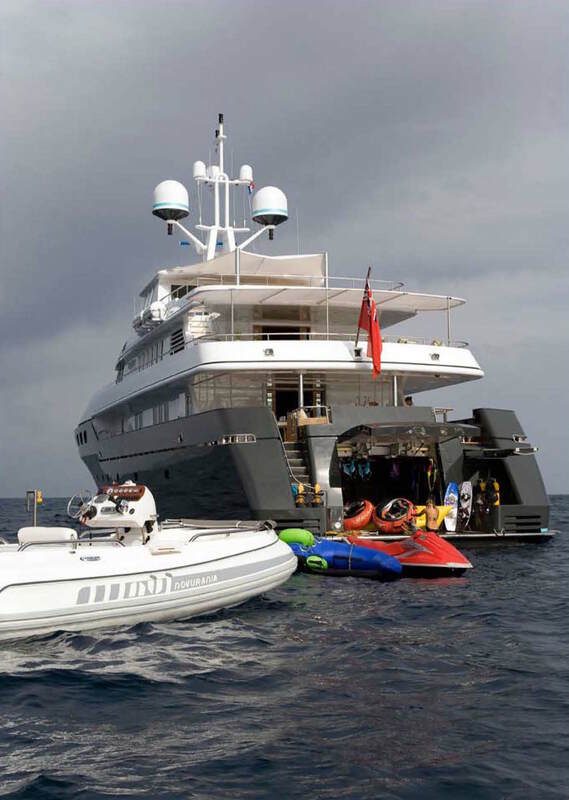 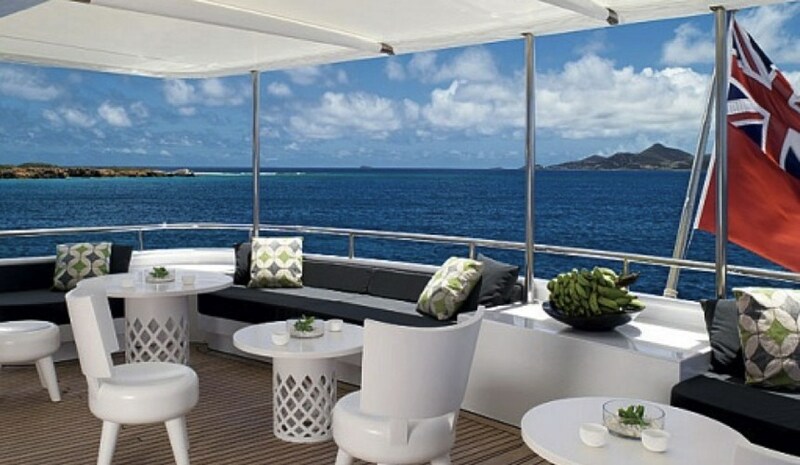 Luxury motor yacht CYAN has a total of 6 cabins able to sleep, 12 guests. 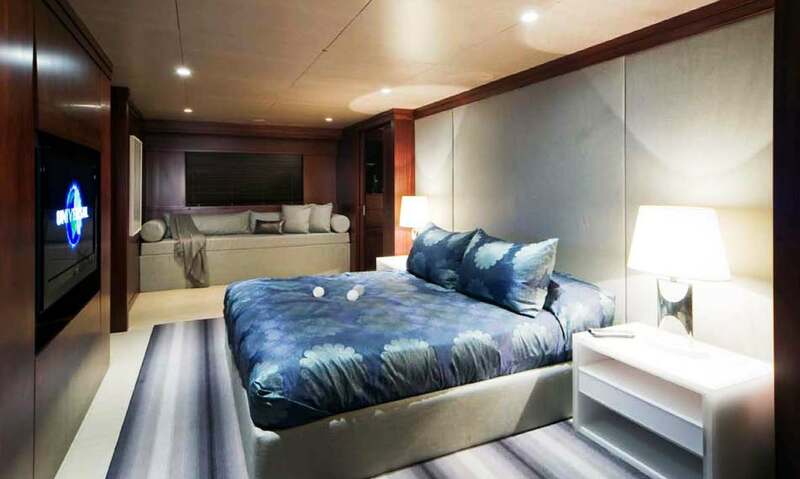 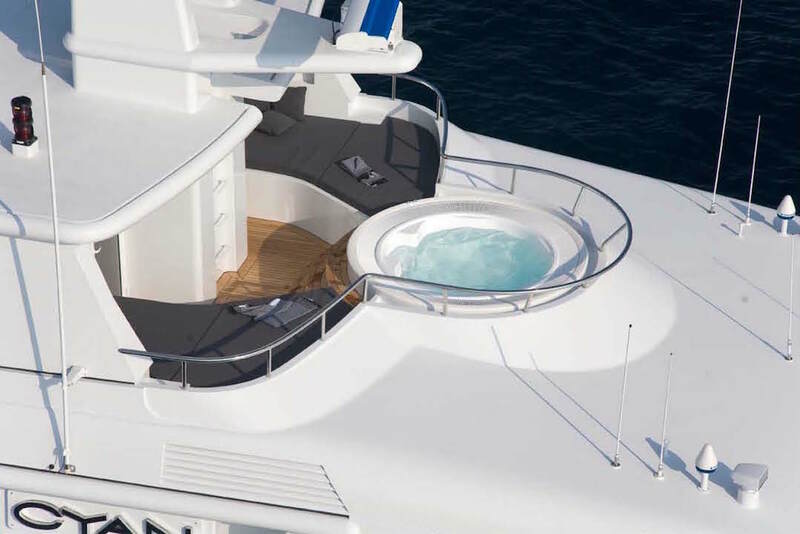 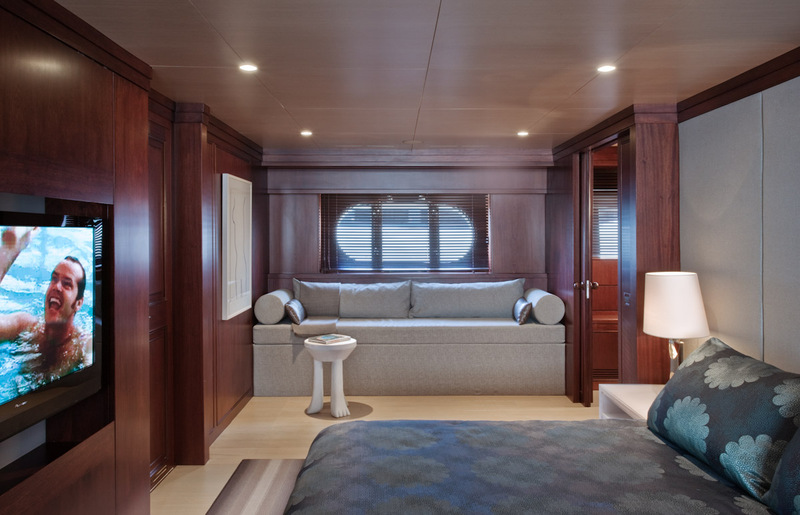 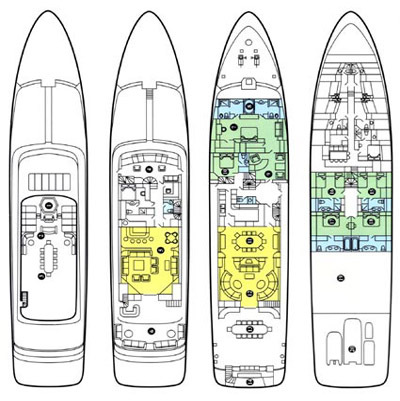 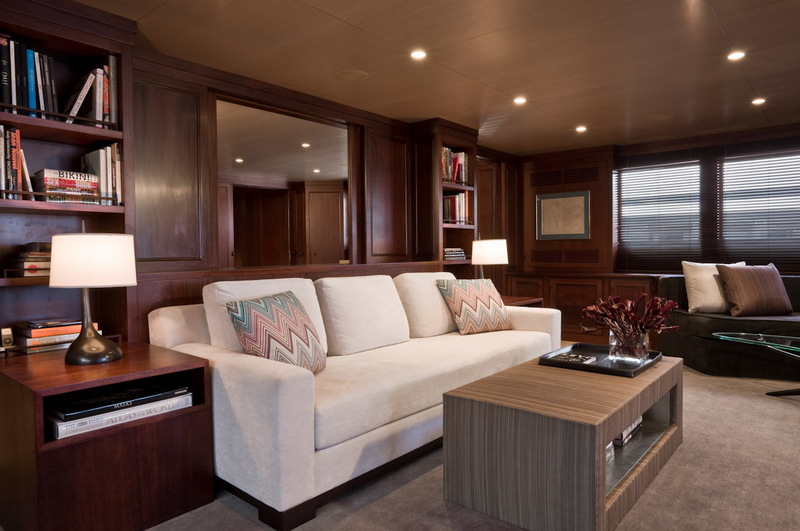 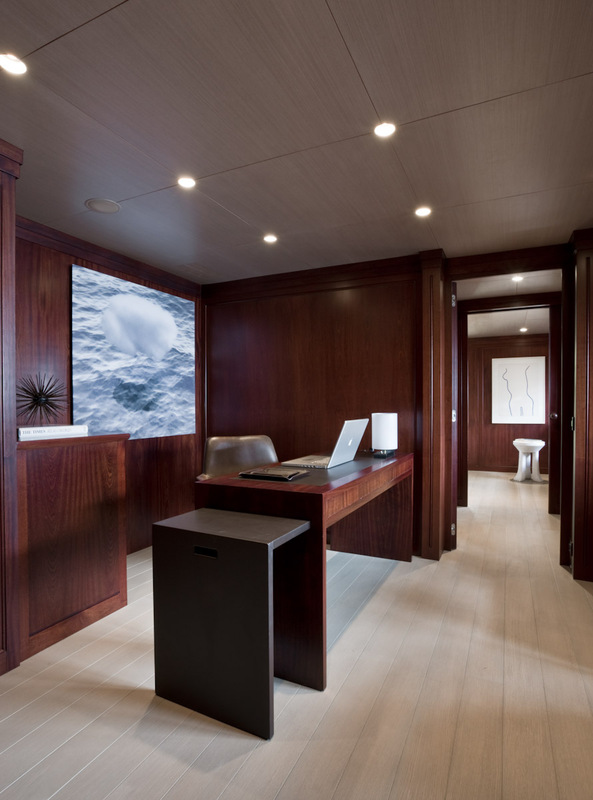 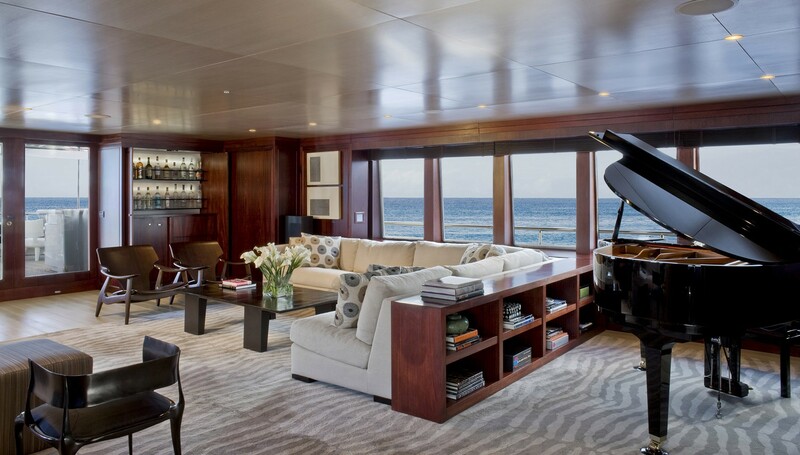 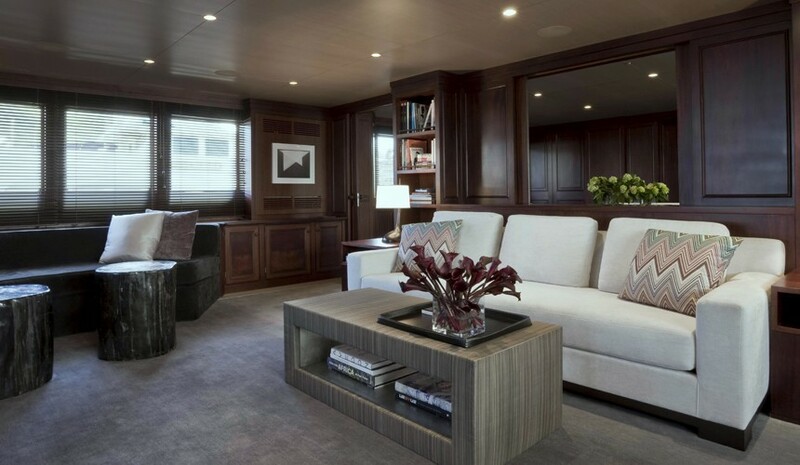 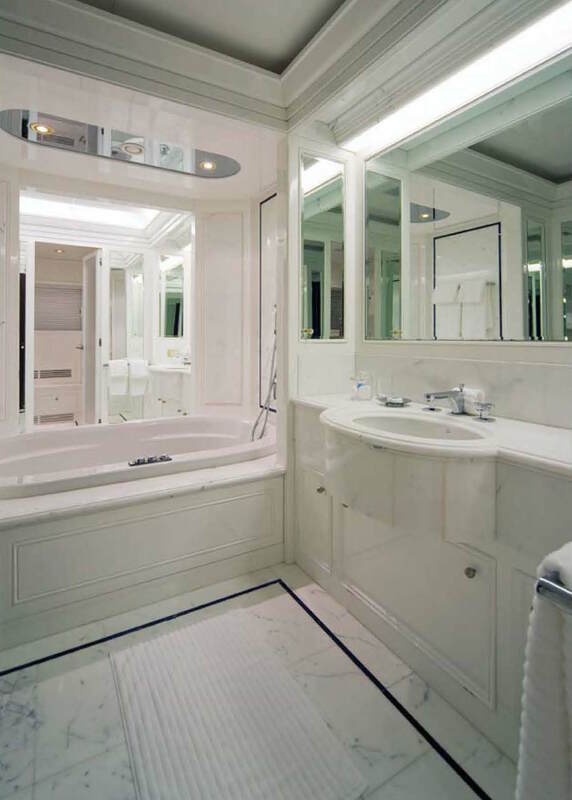 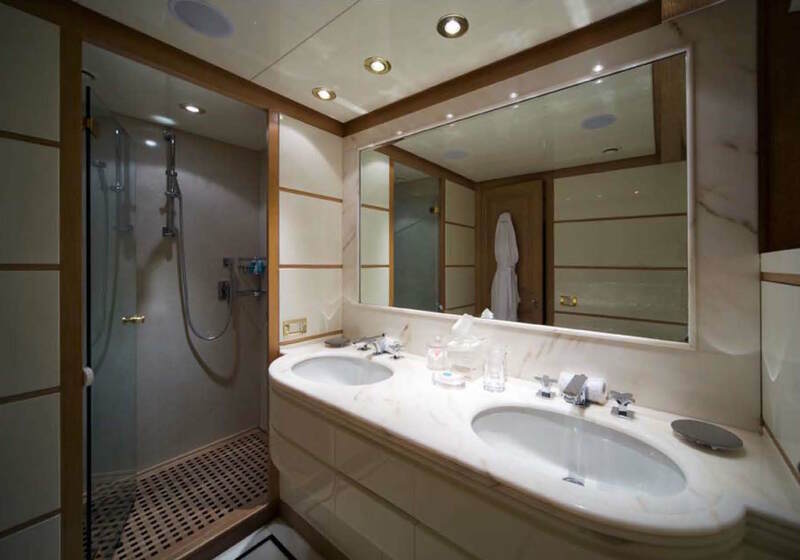 The yachts master cabin which is the full width of the beam on the main deck has a King size bed, a large study, two walk-in closets, and his and hers bathrooms interconnected by a Spa Pool bath. 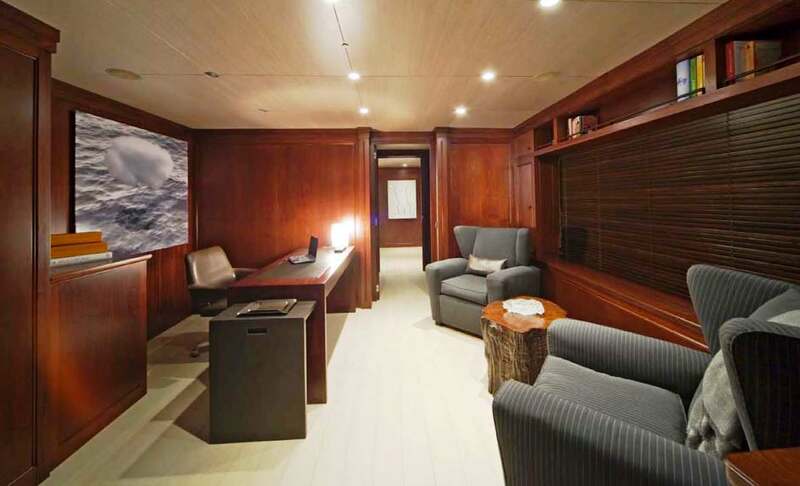 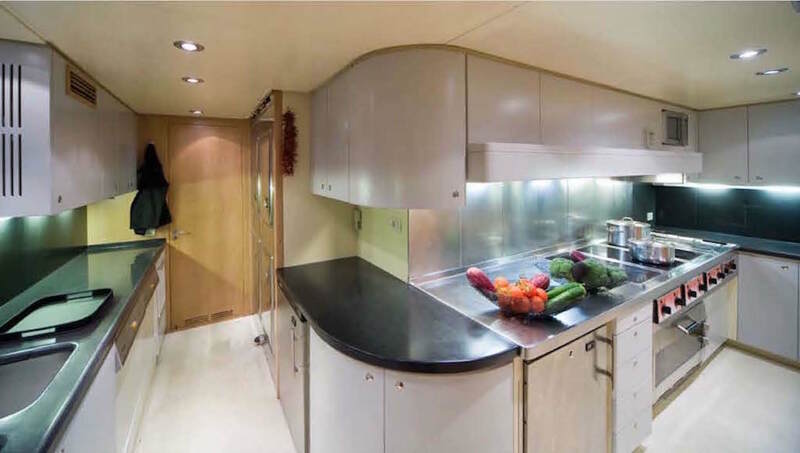 Aldo located on the main deck is an additional Queen cabin with ensuite which is best suited for a nanny or bodyguard as the entrance for this cabin is via a separate corridor leading to the galley. 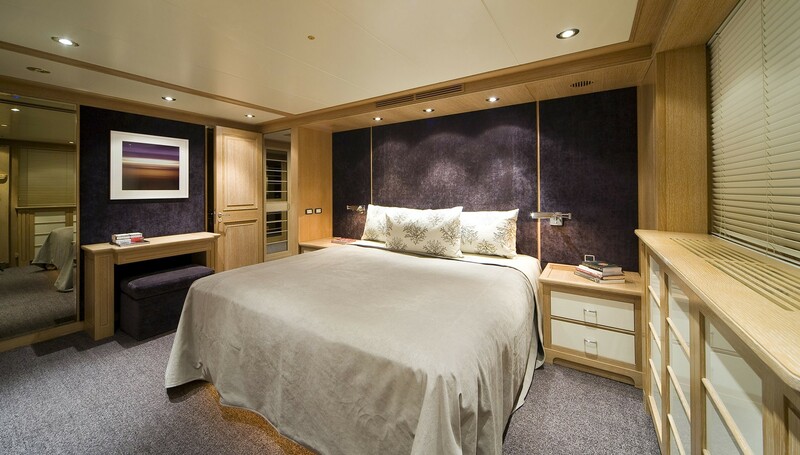 On lower deck are another 2 Queen staterooms with ensuite bathrooms and 2 Twin cabins with ensuite shower room. 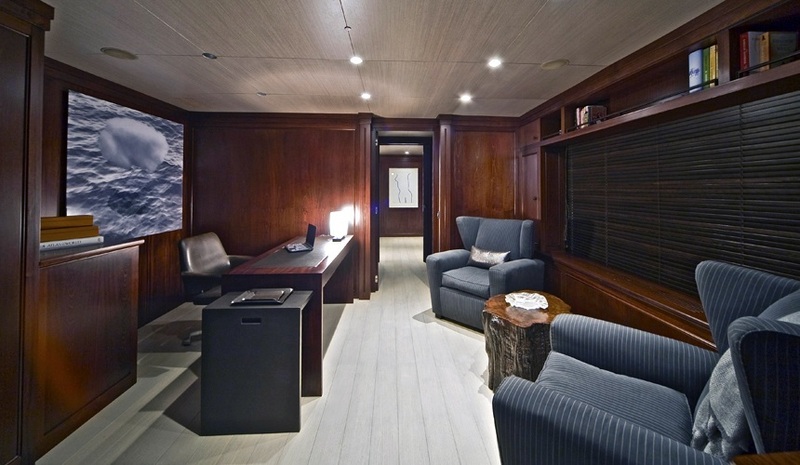 All of the cabins have a TV, DVD, and VCR. 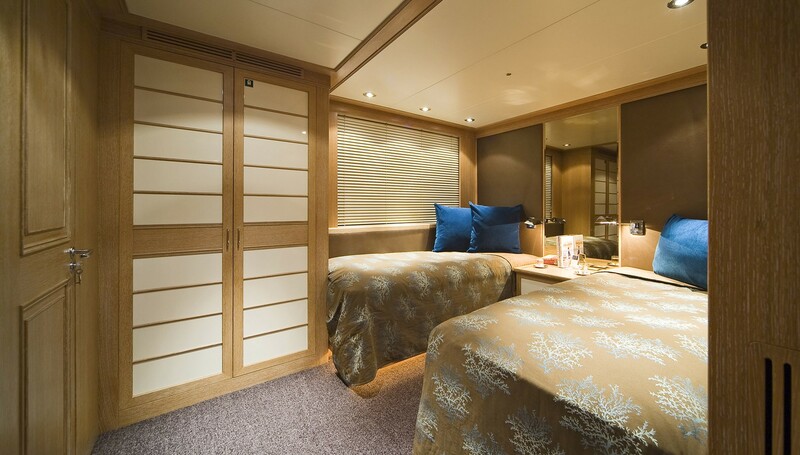 All guest cabins are decorated in limed oak and are light and spacious.